Patients often present with fifth digit pain. The assortment of pathology related to fifth digits is often more complex than initially suspected. 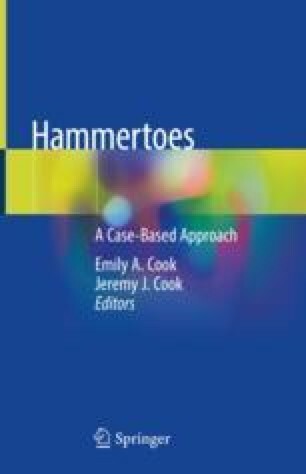 Specifically, lesions associated with hammertoes and other deformities of the fifth digit need to be correctly evaluated before meaningful long-term correction can be obtained. There are several levels of deformity correction that will need potential attention. This chapter will focus on the presentation, identification, and specialized surgical treatment of deformities of the fifth toe and the related hyperkeratotic lesions associated with the different deformities of the fifth toe.